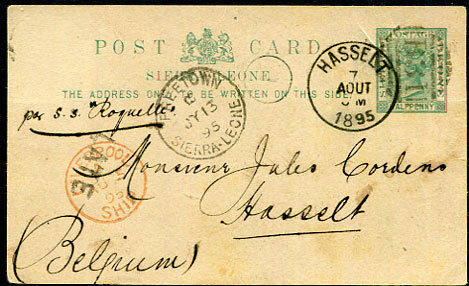 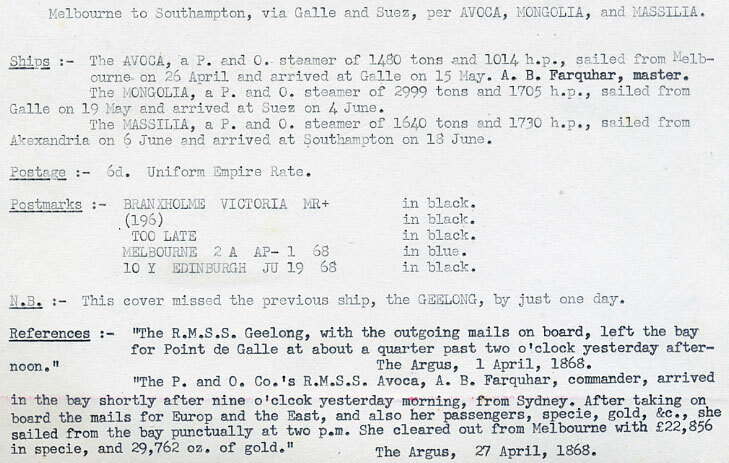 1895 use of QV ½d Post Card marked per S.S. "Roquelle" to Hasselt, Belgium pmk'd "B31" with FREETOWN B/JY 13 95 plus handstruck "LATE", landed with red LIVERPOOL A/AU 5 95/SHIP cds (Private Ship as opposed to Liverpool Packet arrival) with HASSELT 7 AOUT 1895 arrival, lengthy reverse text in French. 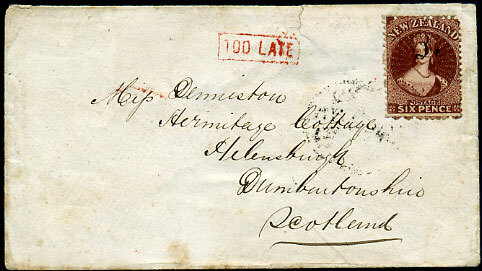 1864 cover to Helensburgh, Dumbartonshire with 6d red-brown cancelled manuscript "Be" (believed Benmore) with red framed "TOO LATE" applied Invercargill DE 18 64 per b/stamp. 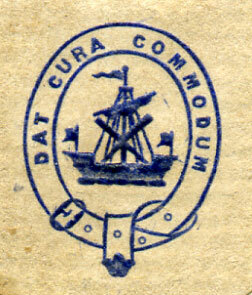 RPSNZ Cert (2013). 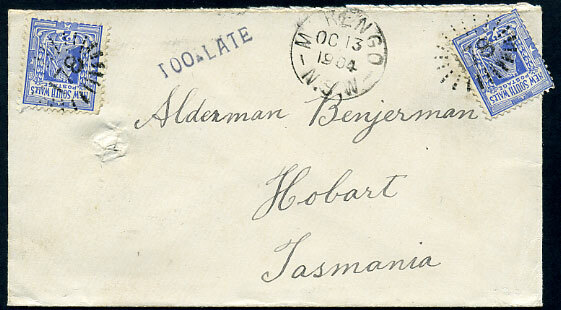 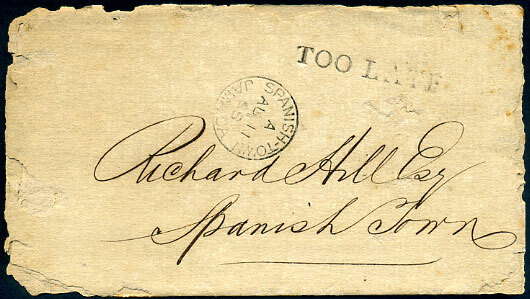 1868 worm-eaten edged cover open most of 3 sides b/stamped Kingston C/AU 10 68 to Richard Hill, Spanish Town showing TOO LATE (TL3, LRD) and Spanish Town A/AU 11 68 clear of address panel, flap with printed blue buckled DAT CURA COMMODUM (carefulness bestows profit). 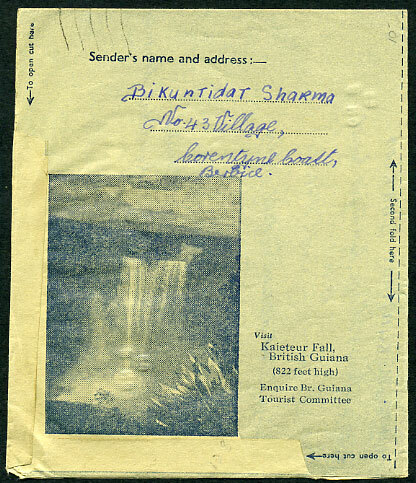 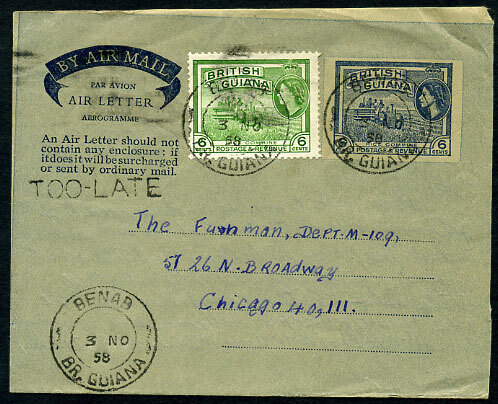 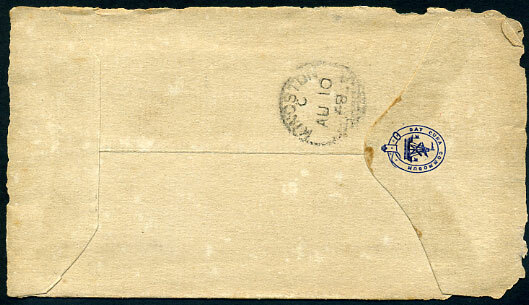 The absence of adhesive or manuscript postal charge being usual on official correspondence mailed within the island. 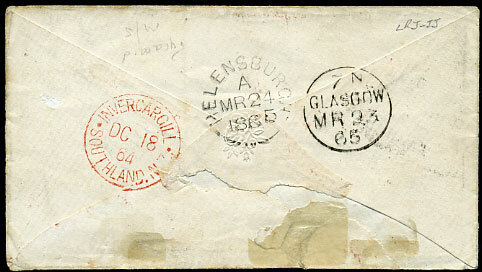 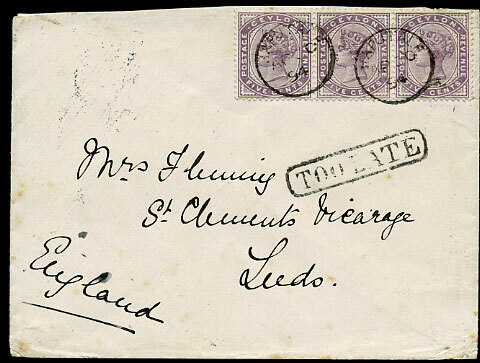 AP 30 94 with framed TOO LATE on QV 15c rate cover to Leeds, toning on reverse. 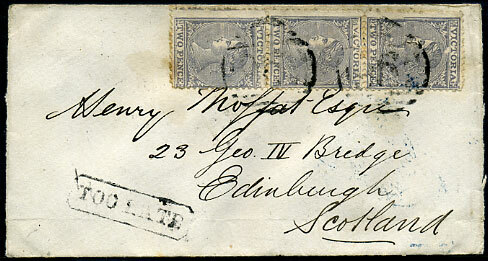 DE 31 83 on QV 4c PSE with boxed TOO LATE, large part cover reverse removed. 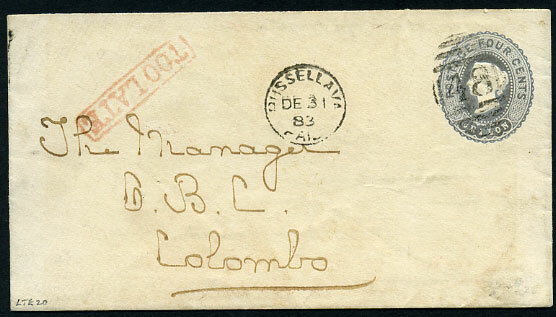 with added QE2 6c pmkd Benab 3 NO 58.